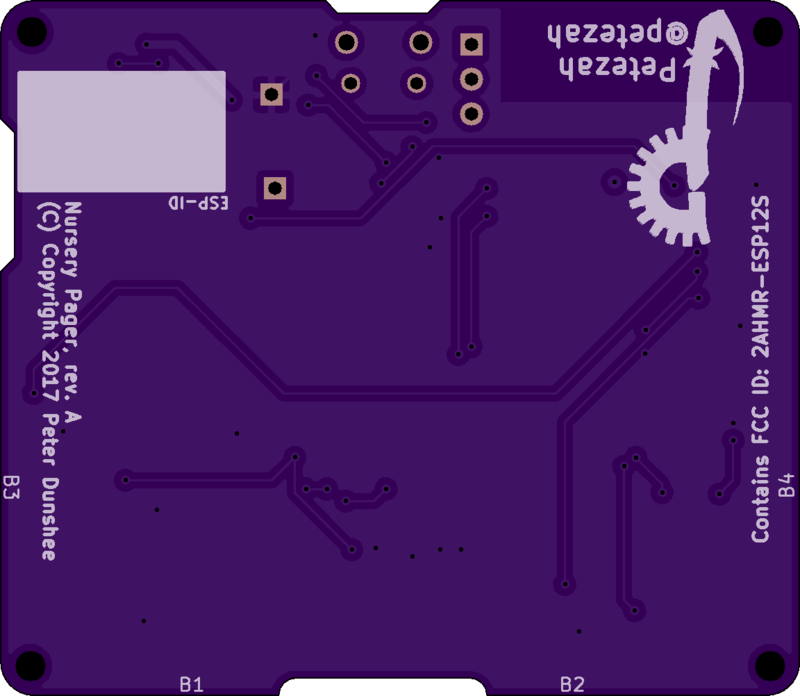 2 layer board of 2.30 x 2.00 inches (58.5 x 50.9 mm). Uploaded: April 4th, 2017 15:43. Prototype PCB layout for a pager unit designed to operate on an existing WiFi infrastructure. It has a number of features designed for possible future expansion, to meet whatever requirements may arise during testing. NB: The ZIF connector (J1) is reversed in rev. A and requires some kind of mitigation, or an OLED module whose pin 1 is on the left-hand side. My OLED module’s pin 30 is on the left; there may be others that are not like this.